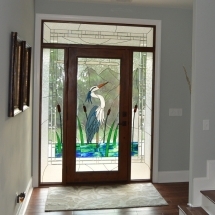 with a Stained Glass Entrance Way. 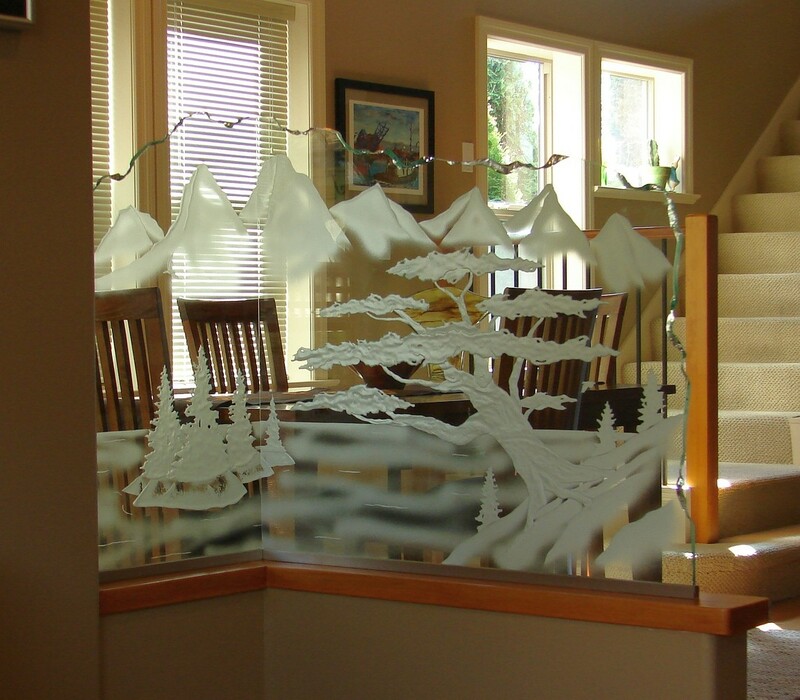 Some of the comments you’ll receive with our glass. 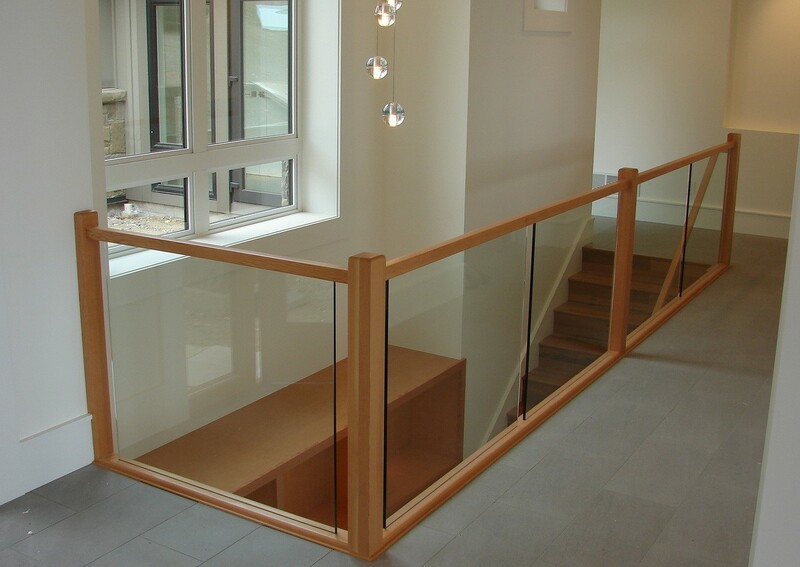 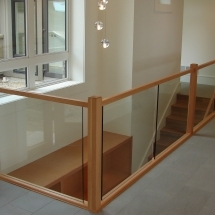 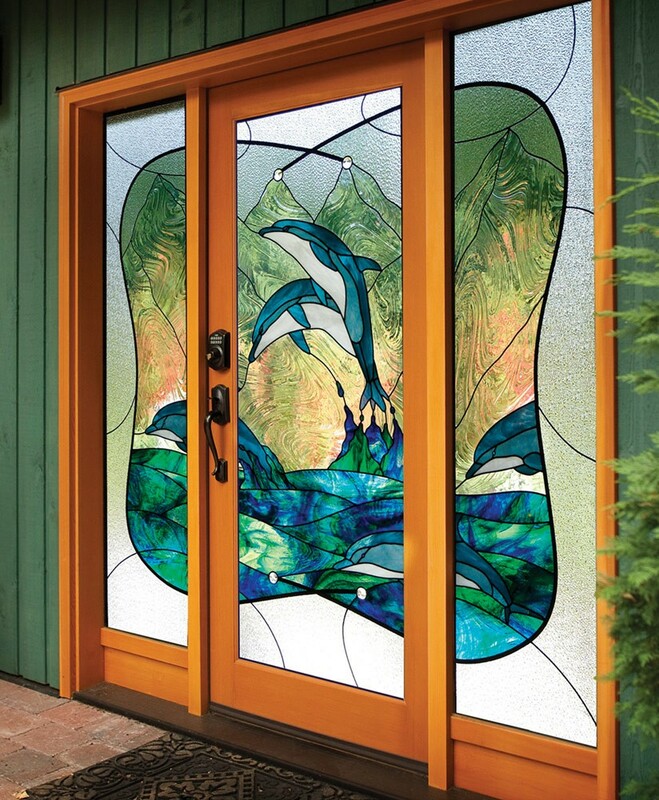 Light, colour, style and privacy all in one window! 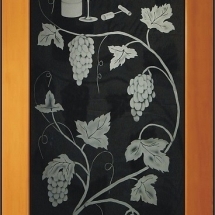 Detailed Art for Entrances to Sculptures! 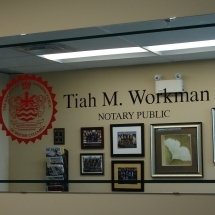 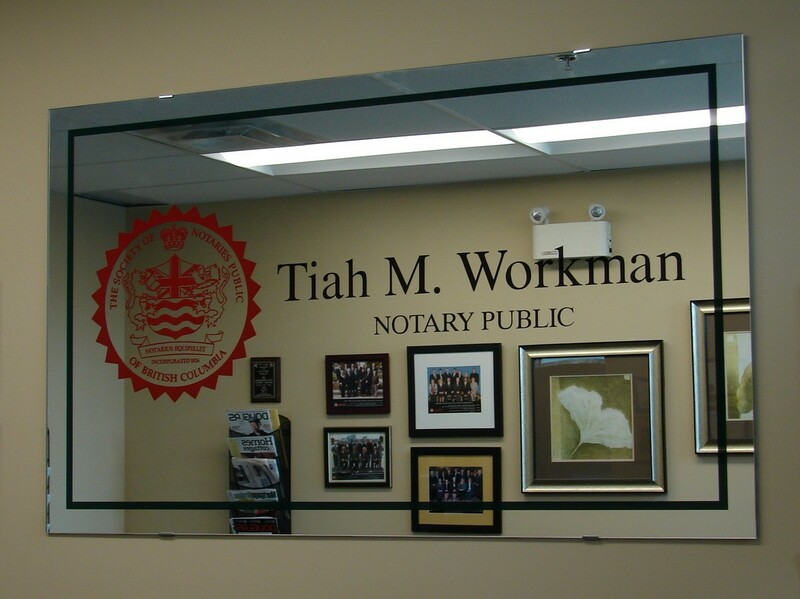 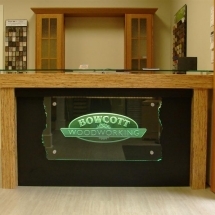 is the first impression upon your guests. 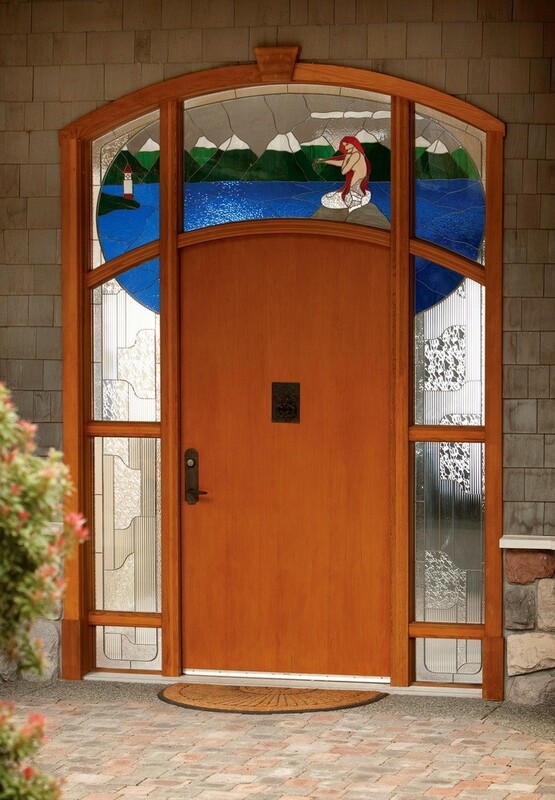 Make it a grand entry, designed especially for you! 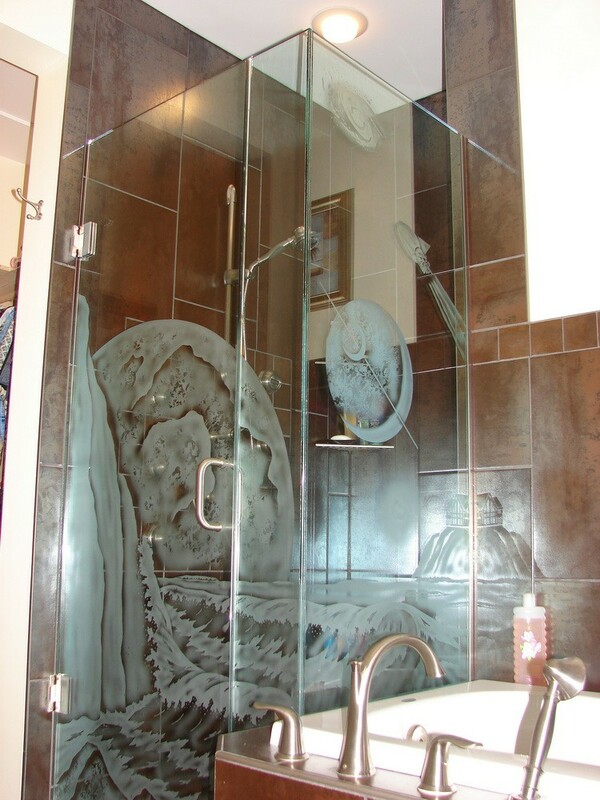 Welcome to the spectacular glass art of Relkie Art Glass. 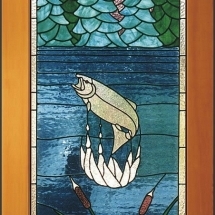 For over 30 years Neil has channeled his artistic talents into stained, sandblasted, carved and fused glass, ranging from bold, colorful imagery to subtle accents, wildlife to abstracts. 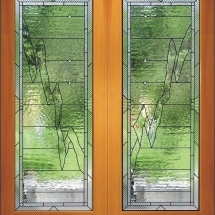 His designs bestow individuality, character, and beauty for home and business. 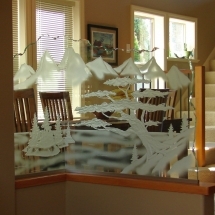 A traditional art form with a modern spin, his glass becomes a long lasting cherished art form. 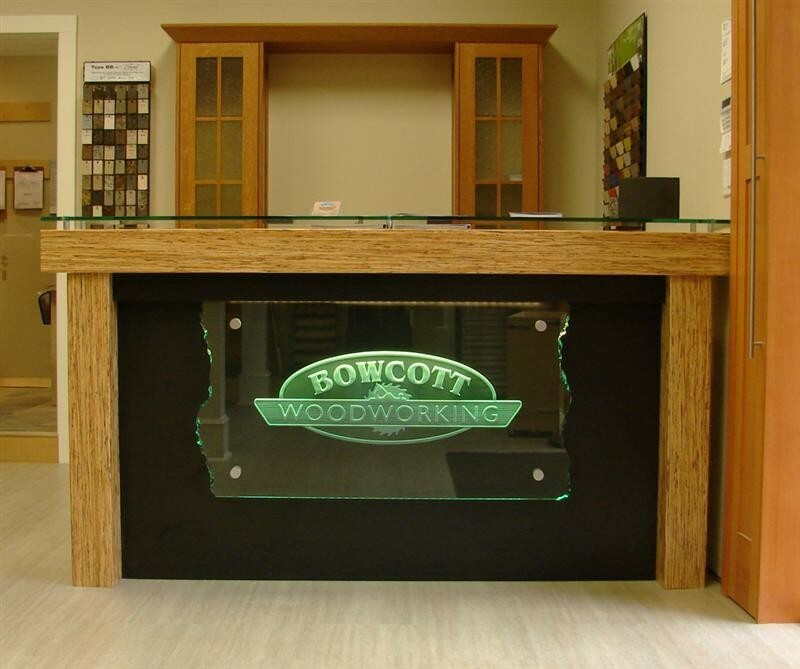 He is truly a craftsmen in a world of mass production! 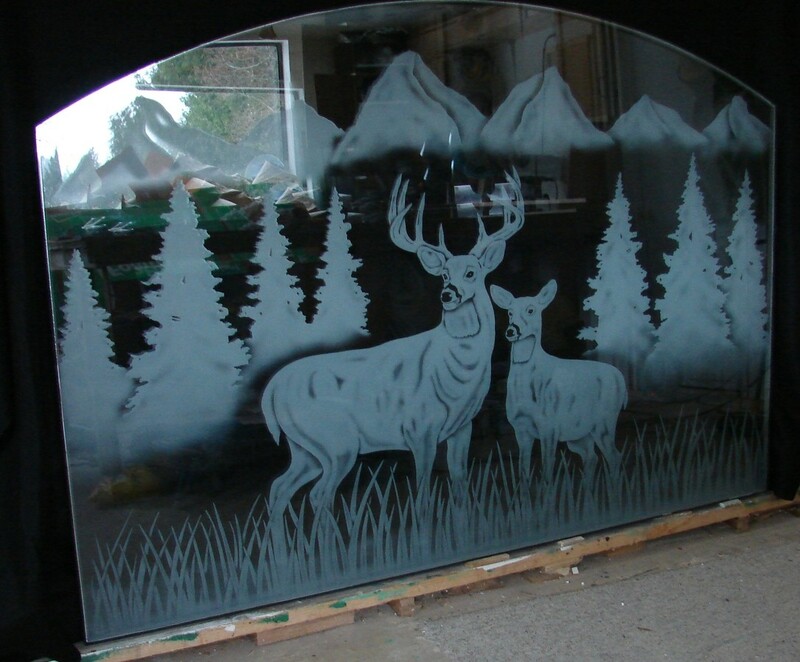 Entry ways, doors, windows, panels and dividers are transformed into works of art glass for your residence or commercial business. 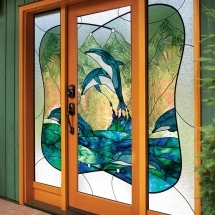 Choose from hundreds of designs in our stained glass and art glass galleries, or we can custom design and built to your specifications to create the perfect piece for your décor. 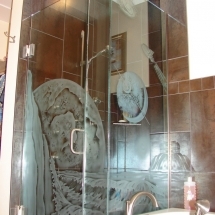 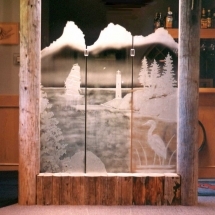 Relkie Art Glass has been creating works of art glass since 1984. 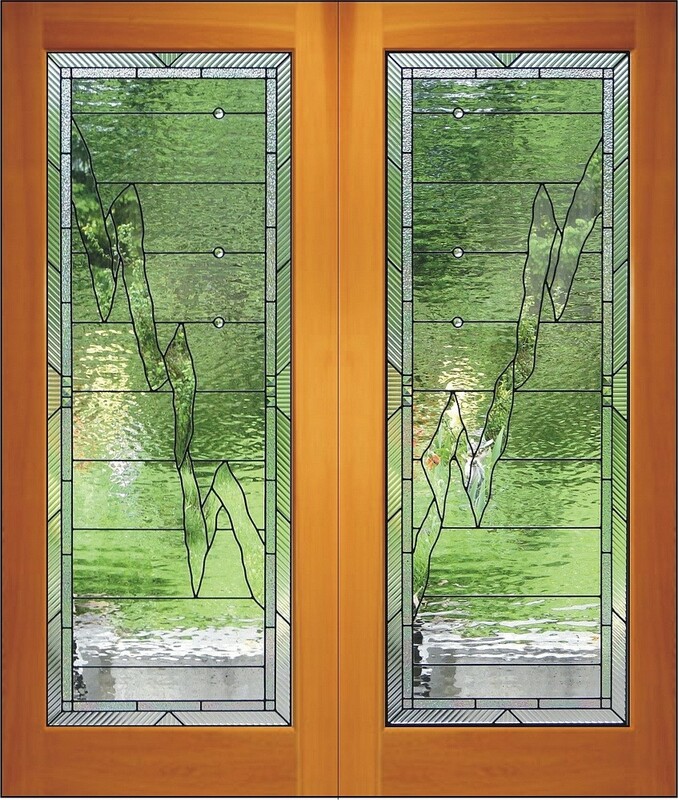 Relkie Art Glass is pleased to announce we have been featured in the exclusive Perspectives on Design Western Canada coffee table book, a showcase of the regions finest architects, interior designers, artisan and craftsmen, under whose creative direction the extraordinary is possible. 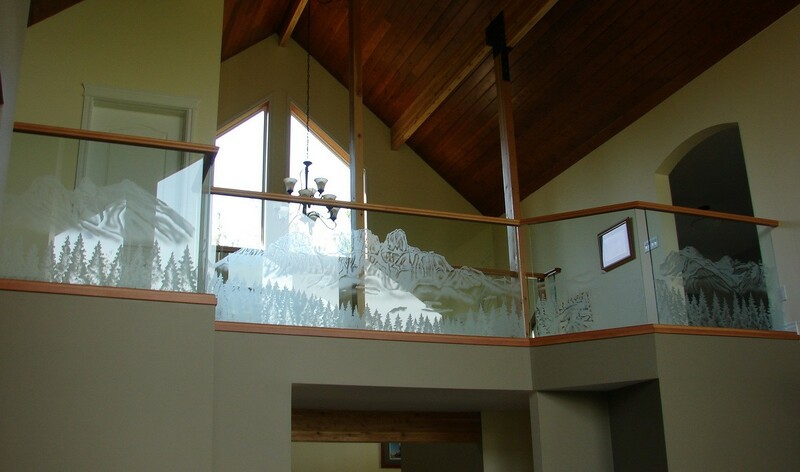 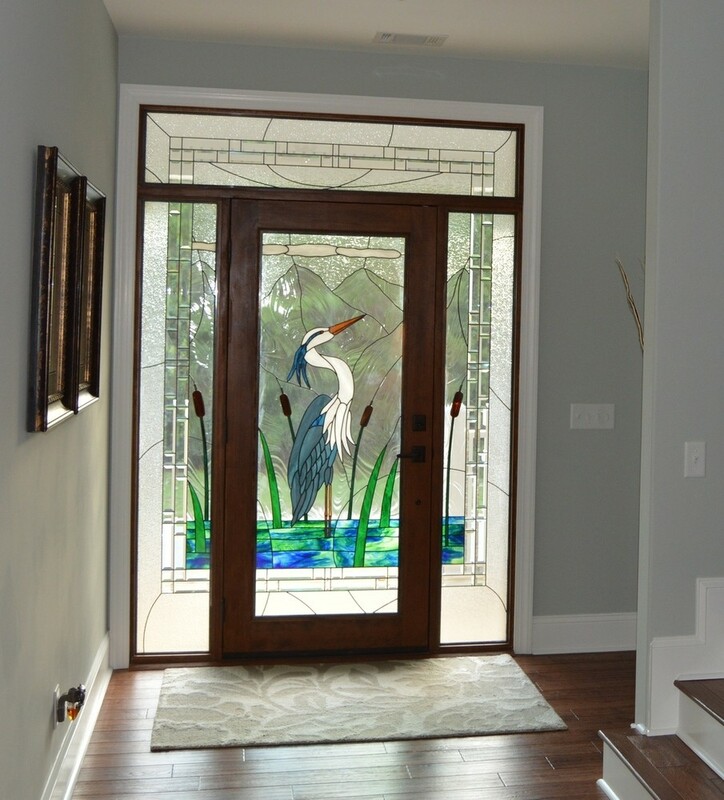 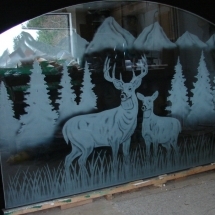 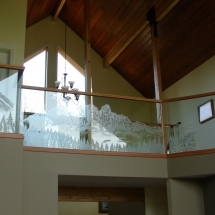 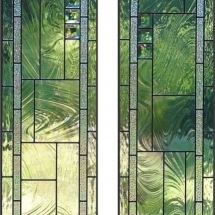 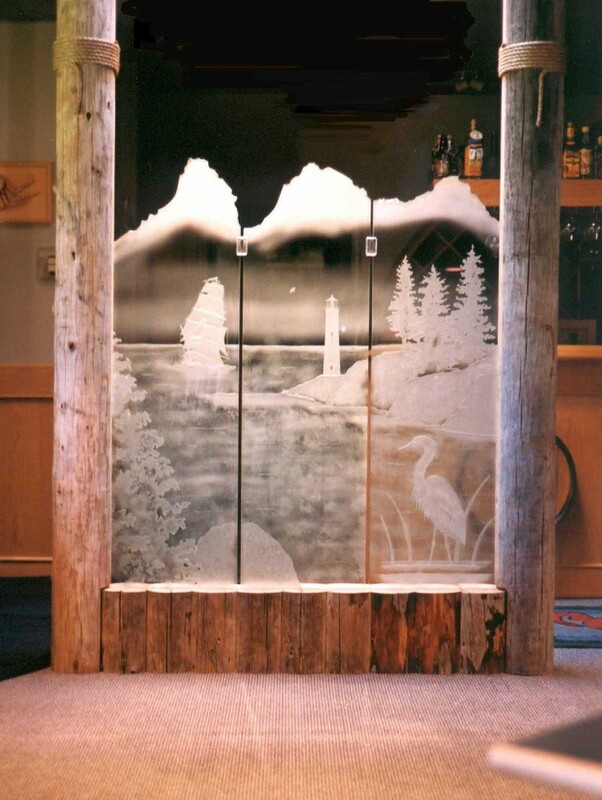 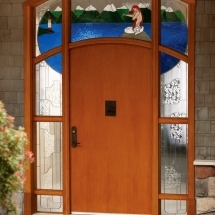 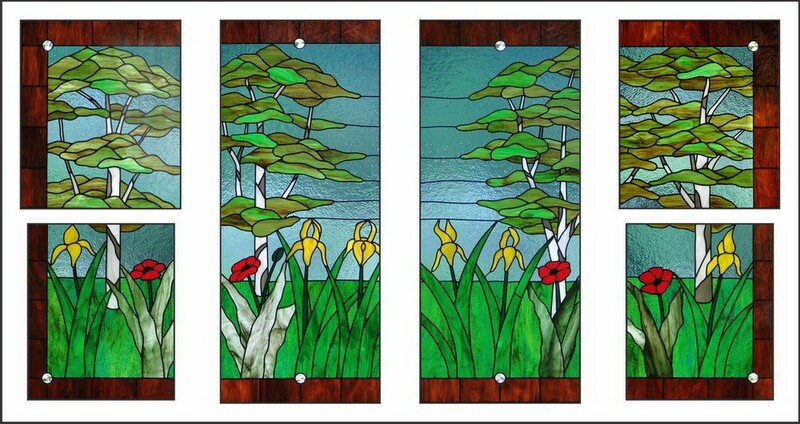 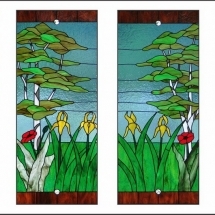 Stained, carved & sandblasted art glass doors and windows for your living space.